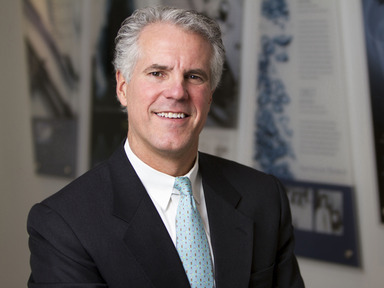 Chris Coburn has served as Executive Director of Cleveland Clinic Innovations (CCI), Cleveland Clinic’s corporate venturing arm, since it was established in May 2000. He has built a high performing team of more than 65 professionals. Cleveland Clinic’s 55 spin-off companies have raised nearly $700 million in equity investment – before Coburn’s arrival the Clinic had no technology spin-offs. In June 2012, Innovations was recognized by Global Corporate Venturing as one of the world’s top four healthcare corporate venturing organizations. Mr. Coburn serves on the board of directors of Autonomic Technologies, Explorys, i360 Medical, and BioEnterprise. He is a former Vice President and General Manager of Battelle Memorial Institute and director of the U.S. Enrichment Corporation (NYSE:USU). He wrote and edited the only comprehensive profile of public sector commercialization initiatives, has published numerous articles, and has collaborated on other publications. He has consulted, testified and spoken on technology commercialization throughout North America and in more than two dozen countries. He is a member of the IBM’s Watson Advisory Board, Ohio’s 3rd Frontier Advisory Board, a trustee of Cuyahoga Arts and Culture and the City Club of Cleveland. In 2012 he was selected as one of the 100 top corporate venture professionals in the world. He and his wife, Nancy, live in Shaker Heights and have three grown children.